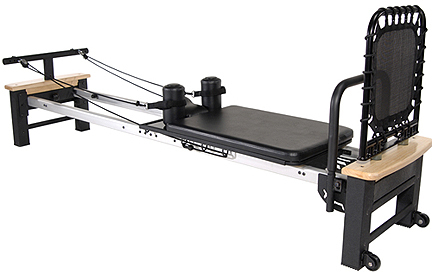 The Stamina® AeroPilates® Pro XP556 takes the traditional Pilates workout to the next level. You achieve that long, lean body that only Pilates can give plus you improve your cardiovascular fitness--all with one machine. And the Pro XP 556 gives you the features and the look of the upscale commercial reformers but is more affordable and sized to fit your home.